WARNING: This is an older tutorial and won't work correctly without changes today. That's because at the time of writing this tutorial the Jessie repository was Debian stable and the Stretch repository was Debian testing. LMDE 2 is based on Jessie. However, since mid last year Jessie was relegated to Debian old-stable, Stretch was promoted to Debian stable and Buster became the new repository for Debian testing. Where in the below it says "testing" or "stable", that no longer is correct and will not give desired results. Do not use this tutorial without adapting it to current situation. I'll provide a new tutorial once LMDE 3 is released and will write it such that it is more future proof than this tutorial has proven to be. Sometimes you may need a newer version of an application than is available from LMDE 2 or an application might not be available on LMDE 2 (like firejail for example). In these cases you may consider installing the application from Debian testing. You can look up which versions of a package are available in Debian here https://tracker.debian.org/. Proceed at your own risk! Adding Debian testing is not recommended but if you are diligent in checking what apt says it will do when you install an application from testing and make sure it only installs that application and nothing else then it is unlikely to cause problems. It is fine to install a few applications from Debian testing if you are careful. This is testing though, so versions from it may have issues. At any time you can downgrade a package to the LMDE 2 version as shown below. Install a package from testing: To explicitly install a package from testing, or upgrade an already installed package to the version from testing, I recommend you use the terminal and use the following command (replace "package" with the name of the package to install). Software Manager can't handle this and Synaptic Package Manager pretends to have the functionality but it doesn't work (to force a version with Synaptic Package Manager you'd have to first uninstall the already installed package). Pay close attention to what apt says it will do before continuing! It's fine to install an application and specific related packages from testing but if it will install a lot of system libraries from testing you risk breaking your system. Last edited by killer de bug on Fri Jan 15, 2016 2:39 pm, edited 1 time in total. Here you see that the version of Evince was install from Debian Jessie, with APT Pin-Priority showing as 500. That's also the only candidate version. The version from Debian Testing is shown correctly with APT Pin-Priority of 300 and that version isn't listed as the candidate version because the APT-Pin Priority is lower than 500. So only when you would explicitly install evince from Debian Testing would it get upgraded or installed from there. This shows Firejail is only available from Debian Testing, at APT Pin-Priority 300. Because there is no firejail package available from a distribution with a higher APT Pin-Priority, it will be installed from Debian Testing by default. Very nice xenopeek, thank you. great advice... now I am be able to install firejail without breaking my system too soon. Firejail is great... btw! Am I right that every update which comes to firejail will automatically becomes visible to the updatemanager in this way, too? Dr. Octagon wrote: Am I right that every update which comes to firejail will automatically becomes visible to the updatemanager in this way, too? Yes, once you have installed a package from Debian testing it will also be updated from there. Update Manager will show those updates. Hi xeno, thanks for this! Is there a way to use testing repos from the start during install (so testing repos are installed)? Not that I know, nor would it really serve a purpose. You don't want to automatically install packages from testing instead of from stable, or you will break your installation (you only want to do this for selected programs you need a newer version of, not for the rest of your OS). As this tutorial is written only explicitly installed from testing packages will be installed from testing; hence whether you set this up before or after installation doesn't make a difference as LMDE 2 installs from stable. thanks so much for this - I was able to load a fixed package from testing to replace the broken one in stable and all is well. You're da man Xenopeek, so not criticism, people may want to add testing repos regardless at some point and good someone like yourself went to the trouble of covering it. Though rather than testing, why not backports? Doesn't really matter, what you posted could cover that too. So will just shut it. Yes, if you need a specific package it is better to first look if it and the version you need is in Jessie backports (LMDE 2 is based on Debian Jessie aka Debian Stable aka Debian 8 ). Packages from Jessie Backports are tested to work with Debian Jessie, unlike packages from Debian Testing. I'll copy below the instructions for adding Jessie Backports as I wrote them recently on Firejail as security sandbox for your programs. Jessie Backports is an additional repository you can add to your LMDE 2 system. It provides additional programs and new feature releases of programs. Only programs you explicitly install from Jessie Backports will be upgraded from there so there is no risk of your LMDE 2 installation becoming unstable if you only selectively install programs from here. That's with the updated LMDE 2 images -- xed for both Cinnamon and MATE. The old images (the only ones when this guide was written) were pluma for MATE, gedit for Cinnamon. booting to Betsy--double ds on me. I was following the tutorial and the files were not being created, so I created them manually. but I have much to learn. Still haven't got conky gpu and hdd temps up yet. I've updated the tutorial for the LMDE 2 refresh. Does changing to the testing repositories mean you will get updates and patches on a daily bases or is it less frequent than that? To learn more about how the Debian lifecycle works see https://debian-handbook.info/browse/jes ... cycle.html. I wrongly thought large parts of the base would be changed to support the package that would need regular updates. Lucap wrote: I wrongly thought large parts of the base would be changed to support the package that would need regular updates. Something small like firejail, no, most of your base would stay the same. But if you decided to get "creative" and install, say, gcc or X11 from Testing, you'll probably find that a large part of the base system has been updated as well. I would never be that adventurous plus what gets security updates and what doesn't is rather confusing. Debian testing gets security updates, though not in the same way as Debian stable. 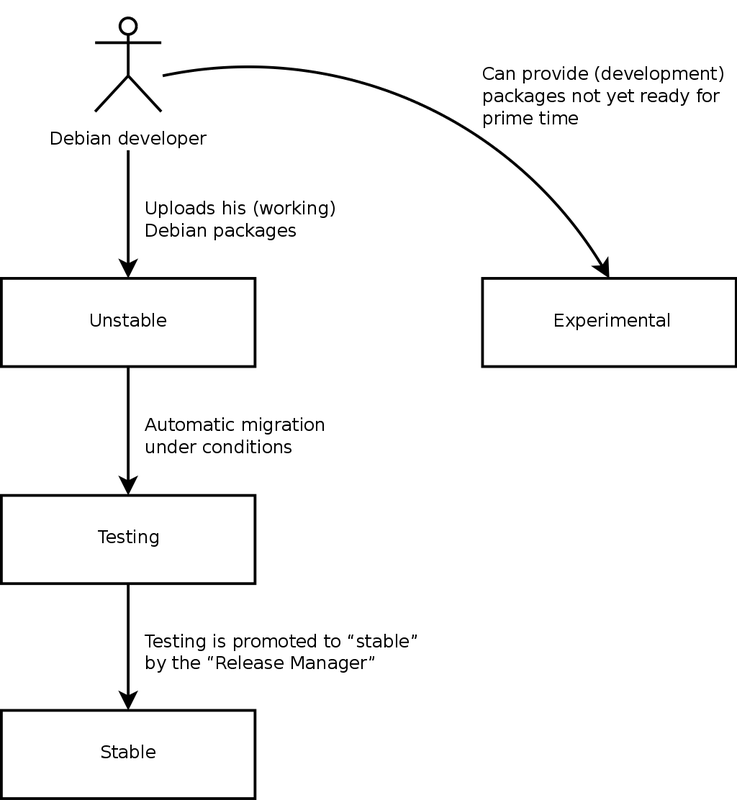 See here: https://www.debian.org/security/faq#testing. For home use it could be fine. For server use I would stick with Debian stable only.